Kutztown alum Joanne Rosa graduated as an English major and has landed her dream job. 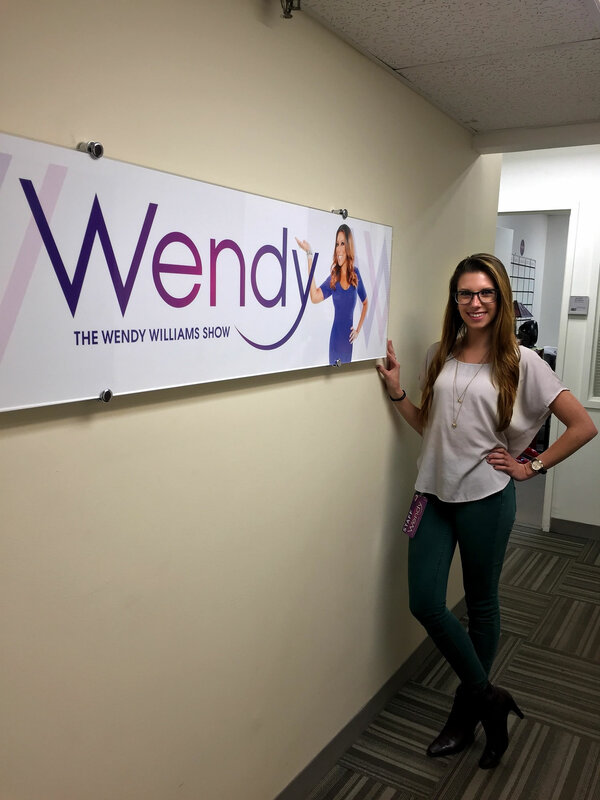 As an undergraduate, Rosa interned in production management for The Wendy Williams Show. Until that point, she considered a career in education. After her internship, however, Rosa wanted to pursue work in television and film. “I love how fast paced the broadcast and entertainment industry is. I thrive on this sort of environment. I am always thinking in the mindset of, ‘How can I get this done quickly and efficiently?’ This is where my best work has come from in and outside of the work place,” Rosa said. Following the internship, Rosa worked as a travel assistant for The TD Jakes Show, which was temporarily using Wendy Williams’ studio to shoot 20 episodes. This experience allowed Rosa to gain professional skills. She recently returned to The Wendy Williams Show as part of the production management team. “What I’ve learned is that everyone from interns, cameramen, productions management, PR, marketing, all the way to the Executive Producers has a specific and important role to assist in making the show the success it is,” Rosa said. Rosa contributes some of her success to the faculty within the Kutztown English Department. During the times she felt a lack of self-confidence in her work, she would look toward her professors for critiques and advice. Through her entire journey during her English career, Rosa learned how to place herself successfully into work post-graduation. As she works for The Wendy Williams Show, Rosa also is a freelance writer within the editing and production fields.